It was a shame that we (myself and Colin) couldnt go earlier due to work but we made up for it when we got there. In keeping with tradition, after getting in to any beer festival even with a programme in hand, the first beer is picked at random. Usually gravitating to a silly name. So first drink was a Dutch draught Rasputin on Speyside, was very nice but at 11.4% it would be a killer to carry on with. Good start. Throughout the night in no order also had a Binghams Vanilla stout 5.0%, would like to have again. Durham White stout 7.2%, not to my tastes, i even read the word floral (very rarely like beers with floral like characters) but was still curious. Greene King Belhaven Black 4.2%, forgettable it seems. Dunham Massey Chocolate Cherry Mild 3.8%, now this was nice and had a real smack of cherry at the end. 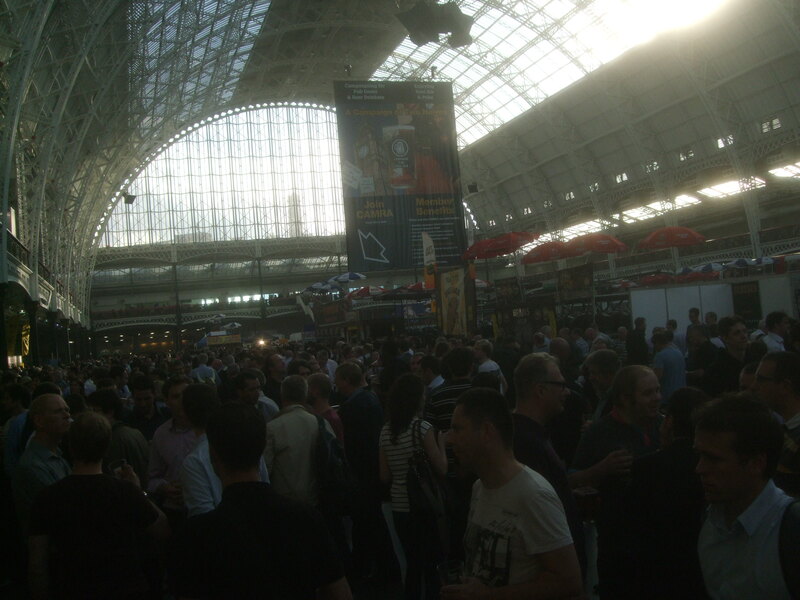 Possibly also got a Goff’s Black knight 5.3%, as i definately had a ruby beer at some point and I marked it off. Wish I could remember, as I didnt seem to mark it off in the programme, just which USA bottled beer I tried to get. I say tried as the guy behind the stall raised an eye brow, told me to wait, then brought over a wine bottle sized bottle… if I had this i wouldnt have been able to have anything else. So i asked for a beer that would be like it and recieved a bottle of Baba Organic Black Lager 4.0%, which was nice. It may be a strange thing to say, as much as i enjoyed this festival, it felt a lot more controlled, a lot more corporate maybe the term I am after. Lets us not speak of Colins missed chance of a Amber Chocolate Orange Stout 4.0%.